Steve was awarded the" Rookie of the Year" for 2014 from the Midwest Ohio Association of Realtors. Steve was also licensed in Ohio with the OHSAA as a Baseball official, Basketball official, Football official and Softball official for over 20 years. In February 2015 Steve was inducted as an Umpire into the Ohio USA ASA Softball Hall of Honor in the Hall of Fame. 5 Rooms, 3 bedrooms, 1450 Sq. Ft.
Tri-Level 6 rooms, large backyard, Great Neighborhood!! Buy the entire Business or just the building. Newly remodeled, ready to move in ! 110 Jefferson St. & 107 Leech St. Cozy 2 bedroom Home Indian Lake!! 4 Bedrooms, 1 1/2 bath, 1820 sq. ft.
1 bedroom with a possibility of 2 more upstairs ! 5 rooms, 3 bedrooms, large corner lot! 6 rooms , 2 bedrooms, 2.5 acre country home! 7 Rooms, 4 bedrooms, Great House ready to move in ! 3 bedroom house, nice lot ! 1.92 acres commercial building w/ 3 overhead doors and ODOT licensed Billboard that generates $300 monthly! 5 rooms, 2 bedrooms, 1 bath and detached 2 car garage! 1 1/2 story 2 bedrm, 1456 sq. ft.
Commercial building with 2 bays 1002 sq. ft.
One story 5 room home on a corner lot ! 6 rm, Central Air, Nat. gas heat, spacious back yard !! 1.11 acres in the country with 5 rm house & 3 car garage. Cozy house in the country situated on 1.170 acres with 2 car detached garage. 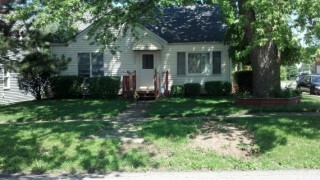 Cozy 2 br, 1 bath, unattached 1 car garage, Central Air and Heating unit. Large House on corner lot with 30 x 60 unattached 2 story garage! 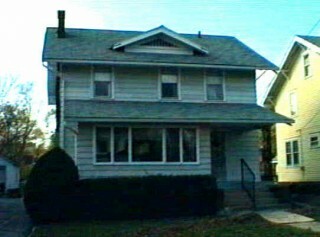 1807 SQ FT HOME WITH 6 ROOMS, 3 BEDROOMS, 2 STORY, 1 BATH, DRY BASEMENT! 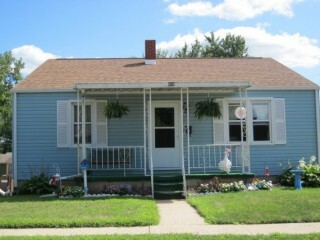 Nice Ranch style home with 6rms, 3 br, full Basement, large lot. Great Home, 4 br, 1 1/2 bath, basement, large breakfast area, & garage. Cozy home with large detached garage, Shed, Pond , setting on 5.16 Acres in the Country! Waterfront deeded lot manufactured home, includes 18" boat & 125 hp motor. 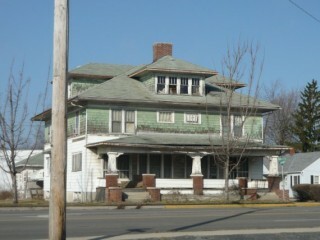 7 Rm Fixer Upper...Great Investment!! Don't miss this one! Old Duplex on a prime Commercial Corner!! Great Investment with Numerous Possibilities!!! Remodeled with an addition that the owner spared no expense!!!! Cozy house on a corner lot with trees. Business is a turn key operation that includes 3 parcels of land.